The remote region, the size of Mongolia, intends to almost double its Chinese tourists by 2020 by getting businesses ‘China-ready’. But change is slow and infrastructure still lacking. The night air is still, clinging only to the lingering heat of Australia’s dry Outback landscape. Walking in the darkness, a group of travellers turn their heads to the sky; caught off guard they start frantically pointing upwards. A chorus of “woaaahs” ensues as they exclaim in Mandarin at the beauty of the starry night that blankets this remote part of the world after dark. Just over 300km from the nearest major city in Australia’s remote Northern Territory, we are dwarfed by the dazzling spectacle. One man rushes to open a stargazing app on his phone. Positioning it overhead to capture the glistening expanse, he is able to spot various constellations – the same celestial formations that have guided Aboriginal people in this part of the world for tens of thousands of years. 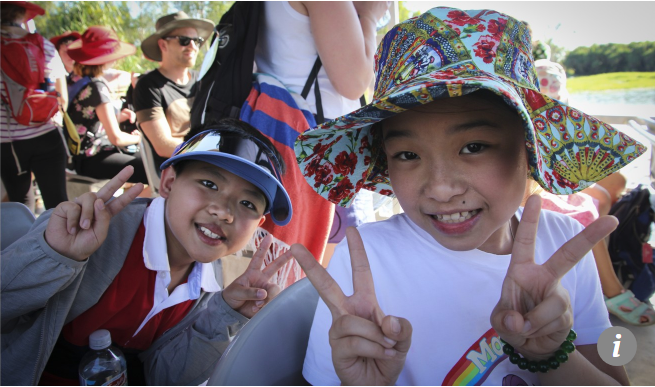 Tonight, though, it is all about the show for this awestruck bunch of Chinese and Hong Kong tourists as they soak up their final night in the Kakadu National Park. This is also true of many large cities in China, such as Shenzhen, an industrial metropolis across the border from Hong Kong where most of the group of 11 live. 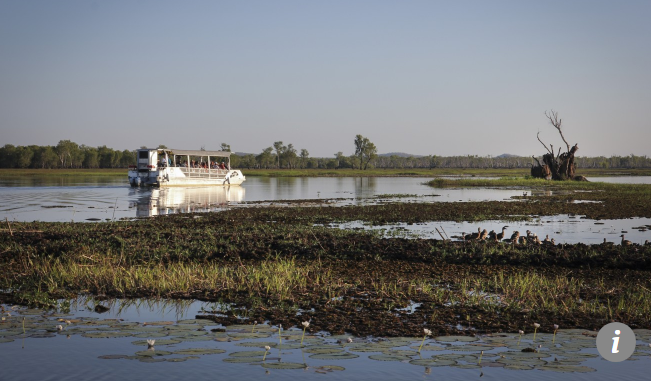 Unlike the big cities where most of its visitors come from, this part of Australia does not have to deal with pollution or, indeed, overpopulation – unless you count the wetlands teeming with crocodiles, barramundi, bird life and buffaloes. 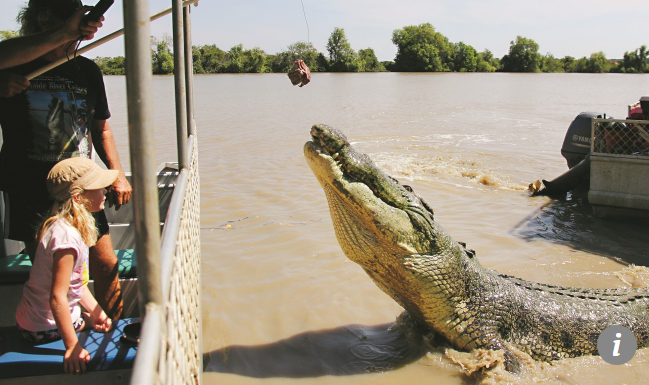 The Northern Territory, known simply as the NT, is a land of extremes. From the sprawling deserts of the “Red Centre” to the lush, tropical “Top End” full of waterfalls and endless floodplains, it’s a wild place even for Australians to visit. 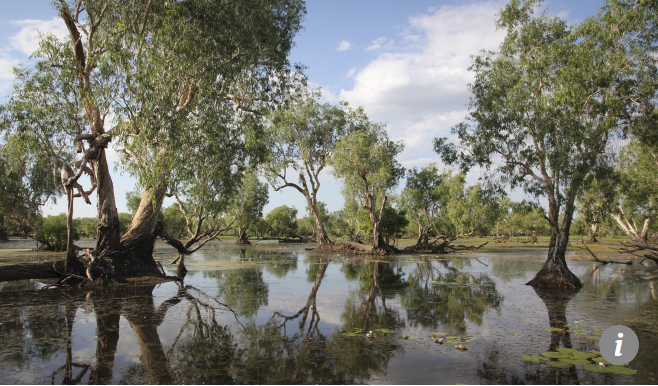 The NT is Crocodile Dundee country; the land romanticised in Baz Luhrmann’s Australia; the final frontier. In terms of land mass, the NT is almost the same size as Mongolia, yet it is home to just 210,000 people. Most of them live in the northern port capital of Darwin, which can only be described as a big country town. It’s a far cry from the heaving city of Shenzhen which, while smaller in size than Darwin, has a population of 12.5 million. Despite being overlooked as a holiday destination for many domestic tourists in Australia – who choose to fly a few hours further north to Asia for a similar price – the pristine NT is now the centre of a large China tourism push. Wen, Zheng and their fellow travellers from the Shenzhen Outdoor Sport and Hiking Association made it here thanks to the first permanent direct flight route connecting China to Darwin. The new route, run by Donghai Airlines from Shenzhen, marks a feather in the cap of the NT government, which has been trying to attract a Chinese airline carrier for more than a decade. Previously, it would have taken people in southern China at least 15 hours, including one stopover, to reach the Top End. Now, they can be here in just five-and-a-half hours. The twice-weekly flights come as the NT government sets itself an ambitious target: nearly double the number of Chinese tourists visiting the region by 2020 to 30,000, who should bring an estimated A$46 million (US$33 million) in expenditure. Last year, only 1 per cent of Greater China visitors to Australia had the wild NT on their itinerary – equating to only about 17,000 visitors. With its goal of transforming Darwin into Asia’s gateway to Australia and wooing wealthy Chinese tourists to the Top End, the government is not relying on the new flight route alone. Since the beginning of the year, the government has been leading a multimillion-dollar push to get the NT and its tourism sector “China-ready”. Its China Ready Programme includes initiatives such as cultural workshops and a funding scheme for local businesses – hotels, restaurants and tourism providers – to print menus, safety cards and brochures in simplified Chinese, install online payment systems such as Alipay, and train staff to cater to the needs of guests. So far 45 businesses have been through the programme. 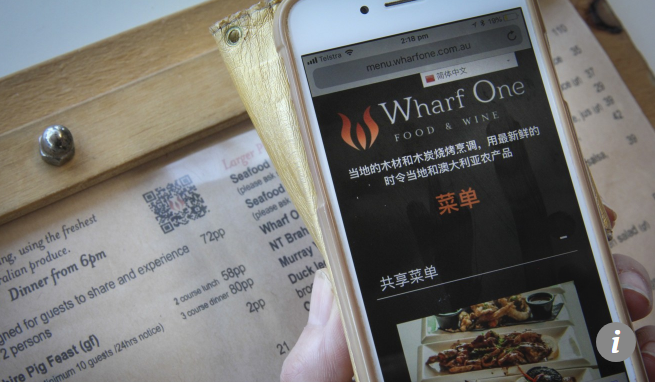 The Tourism NT website has also been translated into simplified and traditional Chinese, while digital advertising is being rolled out in southern China with a focus on social platforms such as WeChat and Weibo. But is the NT actually China-ready? That is the million-dollar question local businesses and government bodies are in the midst of figuring out. One of the leading examples of change is Darwin Airport, where all pre-recorded announcements are now being made in English and Mandarin, and flight-schedule boards are displayed in both English and simplified Chinese – something you will not even find at Australia’s busiest airport, Sydney Airport. The China Ready Programme has also addressed the lack of Mandarin-speaking tour guides in the NT by accrediting an additional 55 guides in Australia to lead groups through two Unesco World Heritage Sites in the NT: Kakadu and Uluru-Kata Tjuta National Park, where the iconic sandstone monolith Uluru (also known as Ayer’s Rock) stands. “We are not resting on our laurels here,” Moss says. 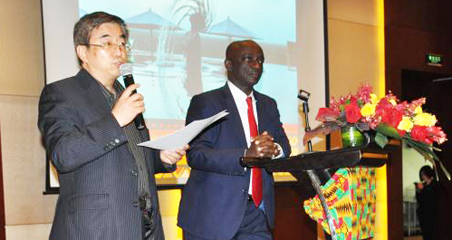 “We know we are competing against other national and international destinations [to attract Chinese tourists]. But we really think we offer a destination like no other. There seems to be international confidence in the NT tourism market, too. 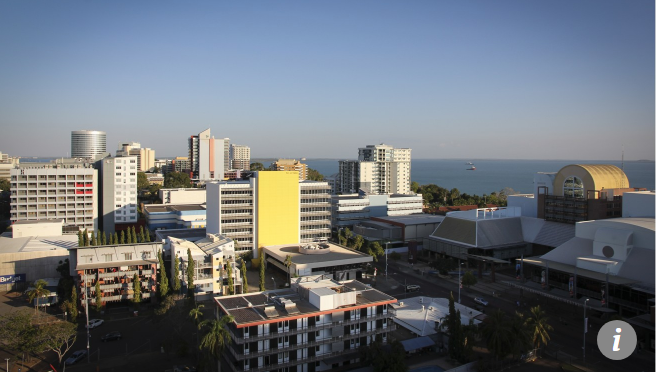 In July, Chinese property developer Landbridge Group – which controversially bought the Darwin port in 2015 on a 99-year lease – was given the all-clear to build a A$200 million luxury hotel on the Darwin Waterfront set to open in 2021. 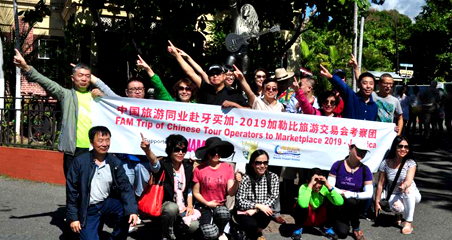 Steven Wang, Founder and Managing Director of Uluru and Darwin Chinese Tours – the NT’s longest-running Chinese tour operator – has seen demand explode in recent years from Chinese tourists wanting to experience the “real” Australia. Originally from China’s Sichuan province, Wang started running Mandarin-speaking tours to Uluru 10 years ago. In his first year he took just 200 tourists to the Outback; last year around 10,000 Chinese visitors used his company to explore the NT. “China-ready is definitely not about putting some Chinese signage around,” he says. “We have to understand people, how they pay for things, how your product is accessible to them. 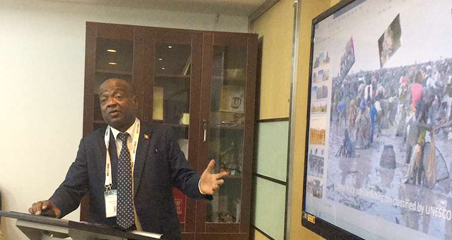 Wang believes that the NT will be able to reach the 30,000 target and that Darwin itself is ready to host more Chinese tourists. He says, however, that the government needs to make infrastructure outside the city its main priority, particularly as more independent travellers often want to take driving holidays around the NT. “From the north [of the Territory] to the south is around 1,700 kilometres. So infrastructure like telecommunications and internet reception are still a problem, especially when you are driving down from Darwin to Uluru – there are a lot of places without phone reception,” he says. 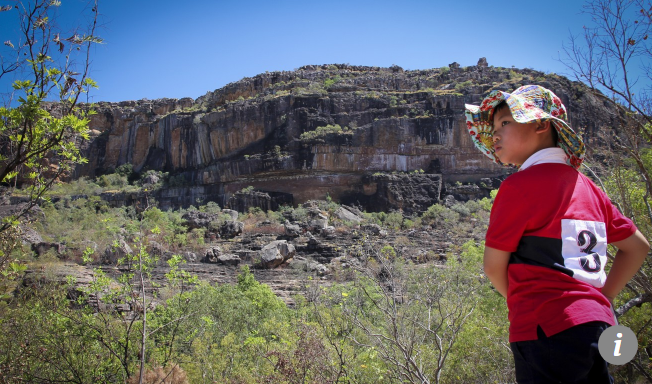 The government is using feedback from Chinese tourists to determine where next to focus funding, ensuring that everyone leaves the NT with amazing stories to tell and a social media feed full of photos. 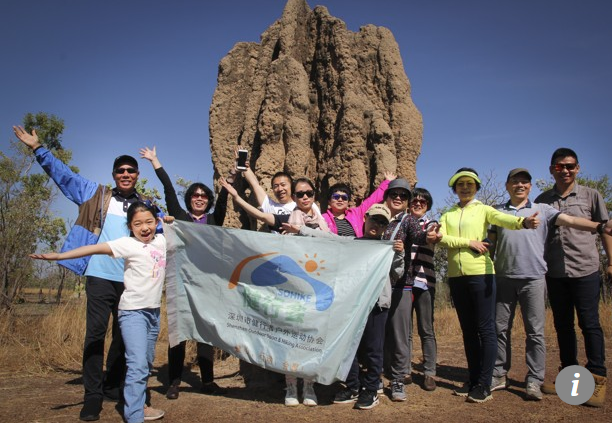 “In Australia’s East Coast – like Sydney and Melbourne – it is really simple and easy to visit, and it is not too different to China, but the NT is really a special area and the feeling is this is the real Australia,” says Max Wen Bing, who used Wang’s tour company to see the Outback. For 11-year-old Vivian Chang Ze, another of the group’s younger members, her first trip to Australia saw her perfect the “Aussie salute” – the name given to the swatting motion used to keep pesky bugs away from your face. “It’s lots of fun here, but there are too many flies,” she laughs.